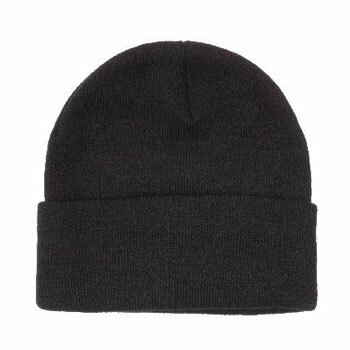 This affordable and practical beanie hat would complement any corporate identity or branded uniform. It is a good quality product available in a large array of colours to suit any logo colouring. Please contact us directly for design options. Plain Stock Colours: Black, Bottle Green, Bright Green, Gold, Grey, Maroon, Navy, Orange, Pink, Purple, Red, Royal Blue. Colour combinations (Main Colour and Turn up): Black & Red, Black & White, Navy & Gold, Navy & Red, Navy & White, Red & Black, Red & White, Royal Blue & Gold, Royal Blue & White.